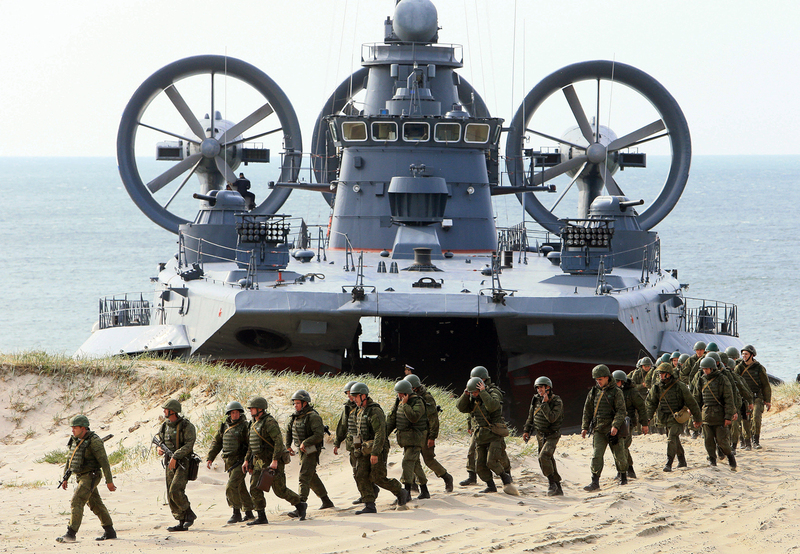 Coastal defence troops of the Baltic Fleet exercise during the joint Russian-Belarusian drills "Union Shield 2015" in Kaliningrad Region, Russia. The Defense Ministry's command is to provide the alliance's military attaches with additional information about personnel and equipment numbers for snap combat readiness checks of the army, as well as their objectives. The aim is supposedly to reduce the degree of tension in relations with the West. Russia is to unilaterally begin to inform NATO in more detail about snap checks in its armed forces, according to a statement (in Russian) made by Frants Klintsevich, deputy chairman of the Federation Council's Committee on Defense, to the Izvestiya newspaper. According to Klintsevich, Moscow is making a gesture of goodwill and will provide not only information under the Vienna Document on Confidence and Security Building Measures, which was ratified by Russia in 2011. Is the modernization of U.S. nuclear forces in Europe a threat to Russia? Russian military officials will also hold special briefings for military attaches and provide them with an information package for each exercise – the number of personnel and equipment, plans and objectives of the exercise, the sites, and so on. As Klintsevich pointed out, the additional measures should help to reduce tension in relations with NATO and to show the alliance that its concerns about Moscow are of a “contrived” nature. In recent years, military exercises in the Russian Federation have regularly caused a wave of disapproval from the North Atlantic Alliance countries, in particular drills in the Pskov Region (bordering Estonia) that Western military observers say appeared to be simulations of an invasion of the neighboring Baltic states. According to the head of NATO, Jens Stoltenberg, Russia undermines the "transparency and the predictability" of the situation in Europe when conducting military exercises on its territory, in particular when it carries out drills in accordance with paragraph 41 of the Vienna Document, which allows “notifiable military activities carried out without advance notice to the troops involved” to be conducted without notifying its neighbors 42 days in advance. Sergei Karaganov, dean of the Faculty of World Economics and Politics at the Higher School of Economics in Moscow, told RBTH that the exchange of information will be later carried out in a bilateral format. "The Vienna Document and the previous treaties were created in completely different geopolitical conditions, with different technologies, and, most importantly, under a whole different level of confidence," said Karaganov. "Mutual understanding between the partners in the 1980s and 1990s was several times higher, including from Russia. I think we should not supplement the old documents, but develop new ones in accordance with the times." According to him, geopolitical players must first hold behind-the-scenes negotiations, and only then can the results be formalized on paper. "The dialogue in the Russia-NATO format, in a political format, as it was before, is meaningless," Karaganov said. "Only a direct contact between militaries can be effective, when the country's leadership sets specific tasks to find solutions to those or other issues. This dialogue should be conducted behind closed doors, and about real things, rather than using political and propaganda techniques on television." Another step in improving relations will be the use of transponders (friend-or-foe identification systems) on military aircraft belong to the alliance and Russia, which patrol neutral waters and state borders.